After two days of delay, the v7.40 update and patch notes are finally here. The v7.40 Fortnite update is finally here. After two full weeks of hints at what was coming and a postponed release, we now have the full v7.40 patch notes to understand how we’ll find the game after the server downtime is over. As expected, we have a few balance changes coming to the Hand Cannon, Rocket Launcher, and X-4 Storming planes. A new aim assist cooldown for players on controllers is also being deployed, along with other resources like an interact bind to use ziplines. Epic has applied the Pop-Up Cup settings to standard Fornite: Battle Royale game modes. This means that the next time you drop into a Solo, Duos, or Squads match, you’ll find new rules to play with. Material cap will now be 500 of each type. Players will recover 50 health or shield instantly when they kill an opponent, and they will also drop 50/50/50 materials when eliminated. Harvesting will be faster, since players will earn 40 percent more materials from it. The special Valentine’s Day Fortnite event Share the Love starts today. Players should slowly see new stuff throughout the week, like new skins in the Item Shop rotation, Overtime challenges, and a free Wrap for those who entered a Support-a-Creator code recently. The Island Frenzy also starts today, which means a different area created by a player on Fortnite Creative will be featured at Battle Royale’s The Block each day. The event will go on until Feb. 28. Epic has announced that all players who complete the 13 Overtime Challenges by Februrary 27 will receive the upcoming season eight premium Battle Pass for free. This means two premium outfits as soon as the season launchers and all the usual benefits of a premium pass, like XP boost and additional cosmetics. Hand Cannons are weaker against structures now, as confirmed previously by developer Epic Games. They now deal 100 damage to structures instead of 150. We broke down how we think this change will affect the Fortnite meta. Stormwing planes can no longer burst through structures of any kind, while Rocket Launchers are now found only on Supply Drops and Vending Machines. Their reload speed has also increased by 28 percent. The Infantry Rifle and the Cupid Crossbow have officially arrived in Fortnite: Battle Royale. 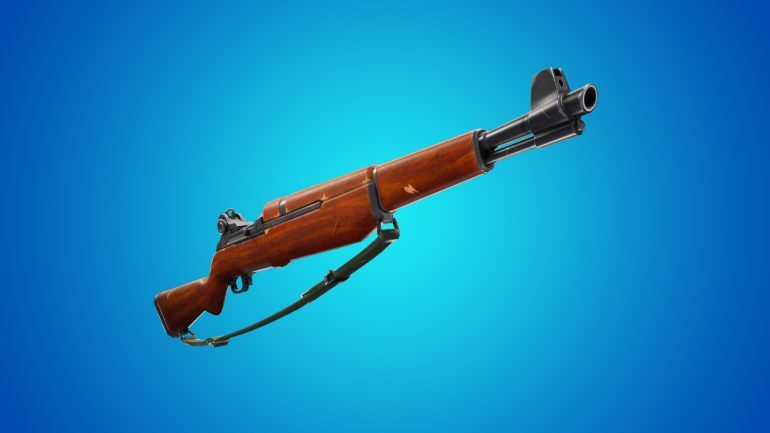 The first one is a sniper rifle that comes in Common, Uncommon, and Rare variants and deals 41/43/45 damage per shot with a two times headshot multiplier. It can be found from Floor Loot, Chests, and Vending Machines. It has no damage falloff. The Crossbow is returning to the game for a limited time, probably until Share the Love ends. It deals 79 damage to body and 197 to head. The explosive item Clingers are also back. Gifting is back to Fortnite: Battle Royale for a limited time. Players will be able to send cosmetic items to their friends from Feb. 15 to 22. Fortunately, doing so is an easy task.